Last night the Farmer's Market went into limited release, you can find more information about how it works here. 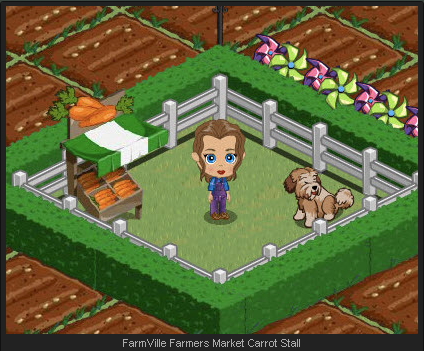 Today some lucky farmers who do have access sent in some pictures of their Farmer's Market experience! 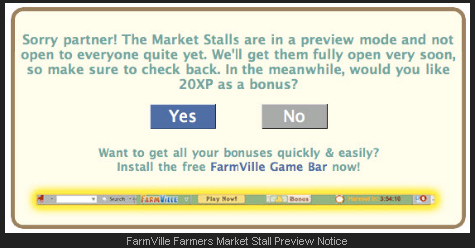 If you do not have access to the Farmer's Market (only a small amount of farmers currently do) when you click to 'Get a Bushel' you have the option to accept a free 20xp instead of the bushel: . When do you think all farmers will have access to the Farmer's Market?